Dr. Christine Fray-Aiken has been employed at the University of Technology, Jamaica (UTech) since 1995 and is presently an Associate Professor in the Dietetics and Nutrition Department of the College of Health Sciences. She has been a Registered Nutritionist with the Ministry of Health since 1999 and a Licensed Master Sports Nutritionist (National Association of Sports Nutrition, San Diego) since 2008. She has a BSc. Degree in Biochemistry and Zoology (Parasitology & Physiology); an MSc. in Nutrition and a PhD. in Nutrition from the University of the West Indies (Mona). 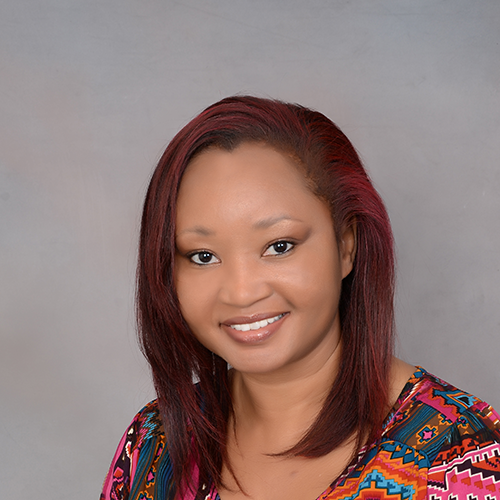 Dr. Fray-Aiken also serves as the Distance Learning Liaison Officer for the College of Health Sciences at the University of Technology, Jamaica (since 2010) and is a Technical Consultant with the Jamaica Bureau of Standards (since 2007). She is a Founding Member of the Jamaica Association for Professionals in Dietetics and Nutrition (JAPINAD) where she presently serves on the Executive Board as Secretary. She is also a member of the National Association of Sports Nutritionists (NASN) – San Diego; the Jamaica Association of Sports Medicine (JASM) and the Jamaica China Friendship Association. Dr. Fray-Aiken’s areas of research are in obesity, chronic non-communicable diseases, sports nutrition and their economic impact. For more information about Dr Fray-Aiken, please visit her profile.